The RBN 215 Sub is at the forefront of powered subwoofer technology. 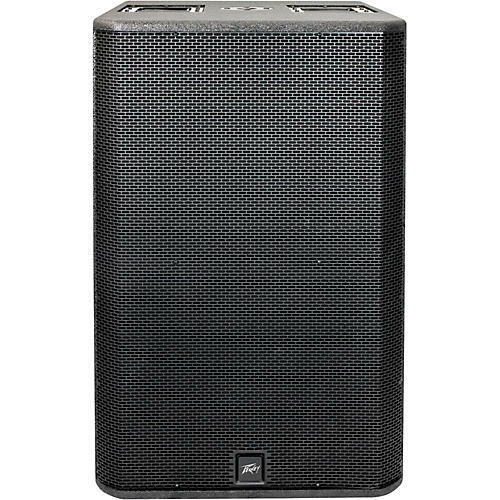 The dual 15 enclosure maintains full output down to 36Hz. That is serious low end, and Peavey has always been known for its specifications accuracy. Constructed of heavily braced 18mm birch plywood, the RBN sub is designed for years of rock solid reliability. Reliability is key when selecting a powered enclosure, and the RBN series features internal temperature monitors plus level and clip indication to ensure optimal performance. Completely user-friendly, the speaker enclosures contain internal presets built into the DSP, allowing users to quickly select the speakers application or orientation via the LCD on the rear of the enclosure. Combined with Auto-off sensing power down, the RBN Sub enclosure is perfect for installations or portable applications where audio quality, reliability and efficiency are of the utmost importance. LF driver: 2 x 15"